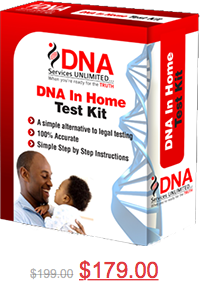 We are a fully comprehensive DNA and drug testing company. We provide the most accurate testing services and accessibility to clients all over the world. We guarantee 100% accuracy and our DNA results are delivered in as little as 3-5 business days. Our contracted laboratory is AABB accredited and our test results are recognized throughout the country. AABB contracted laboratory, 100% accuracy. DNASU provides the most accurate testing services and accessibility to clients all over the world. Can I use my DNA test in family court? Yes, as long as you get a LEGAL paternity test. DNASU encourages mothers to participate, but if not possible, a motherless test is just as accurate. A buccal swab is rubbed on the inside of the cheek, making the process fast and easy. How long does it take for my results to come in? Can a persons DNA ever change? NO. Think of your DNA as a social security number’ You only get one and it NEVER changes. Win a FREE Infidelity DNA Test!! Submit your name, email address, and phone number to info@dnasu.com. (1) winner will be chosen at random on Friday March 29th! Good Luck!